Book launches are on my mind right now, as I am preparing for the book launch for my second book, and so I thought I'd put together a quick post about what happens at a typical book launch. Do I have to schedule my own book events? Yes, most likely you will arrange your own events. Sometimes you'll have a publicist who can help you schedule your launch or at least get you contact information, but generally you'll be reaching out yourself. Hi, I'm a local author/illustrator and I have a picture book, TITLE, coming out on (date) from (publisher.) I wanted to inquire about scheduling a book launch at your store. Do you have any availability during (this date range)? I also include the cover image, description of the book pulled from my publisher's website and the ISBN. Don't have a local bookstore? Try your local library. Most libraries have a meeting room that you can book, often for free. The downside is that you'll have to sell your own books, but it's a good option for those who don't live near a bookstore. 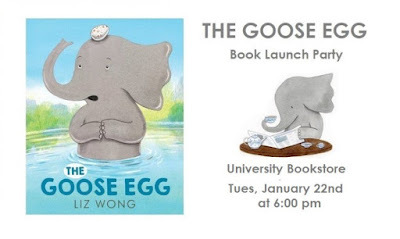 When should you have your book launch party? Generally within a week of the book coming out, if possible. You want to make sure it's close enough to the release date that your friends and family won't have already gone out and bought the book somewhere else. Book launches can be hosted on a weeknight evening or on a weekend day. Since the main attendees will be your friends and family, consider when they'll be able to attend. If you know mostly families and kids, a weekend event might work best. If you're mostly friends with adults, a weeknight might be ideal. 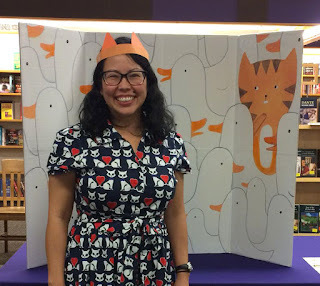 Should you have multiple book launch parties? 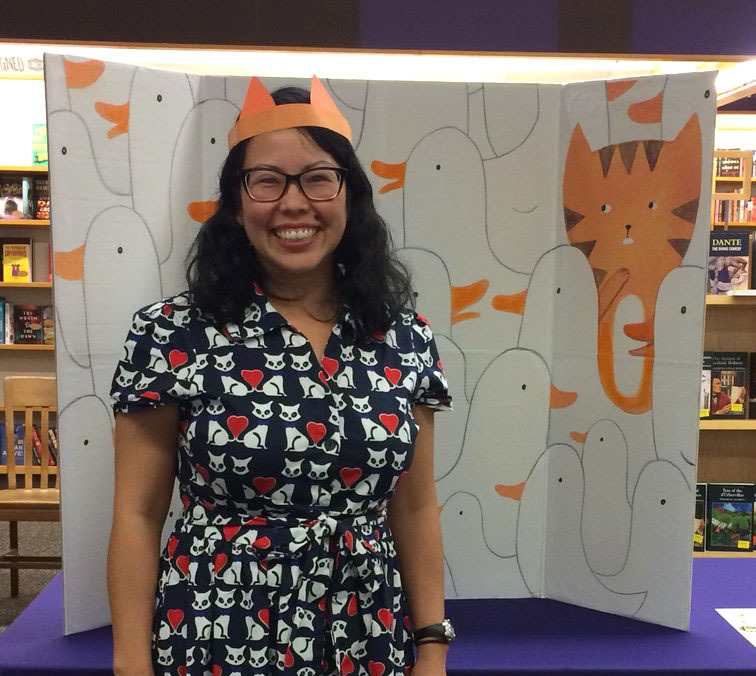 Some authors and illustrators want to have multiple events at various bookstores, which is fine, if you think you can attract an audience to more than one event. But check with the first bookstore to make sure that your second event is not in competition with your first. If you schedule too many events too close together in time and geographical area, the first bookstore might think you are drawing away potential sales. Now invite your family and friends! Create a Facebook event, send out an evite, an email, post on social media - all of those are options to get the word out. Create a simple little graphic that you can use to post on social media. It doesn't have to be fancy, but a tip: rectangular works best on Facebook and Twitter. Here's mine, that I created while at my day job using MS Paint. I was serious when I said it doesn't need to be fancy. 2. What happens at a book launch? Kelly Jones with a photo frame that you could pose with (and post on social media afterwards!) 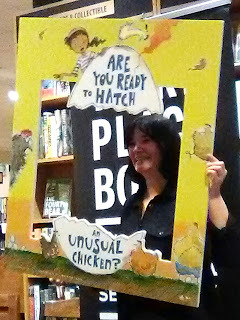 at her book launch for ARE YOU READY TO HATCH AN UNUSUAL CHICKEN? Swag: is it necessary? 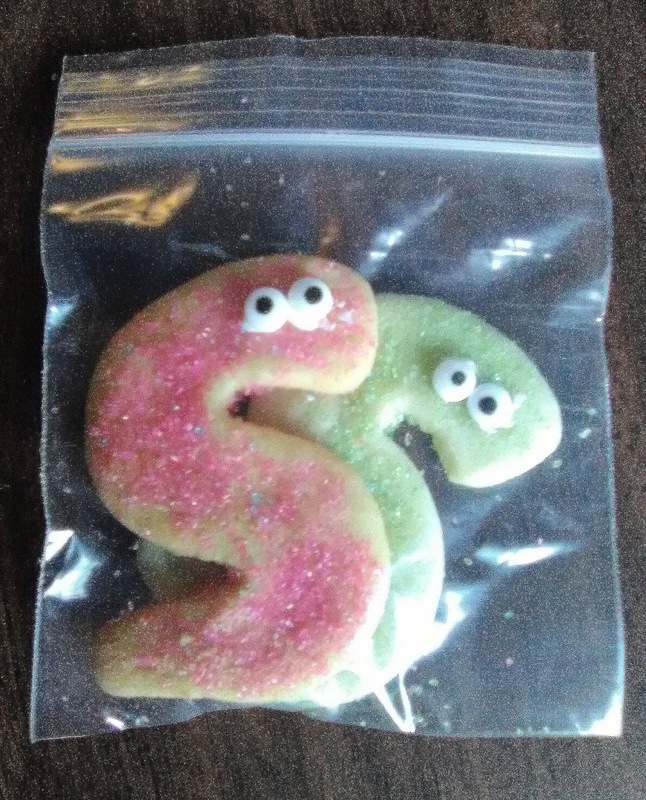 No! Is it fun? Yes! Some of the most common items I've picked up at book launches are bookmarks, buttons and stickers. 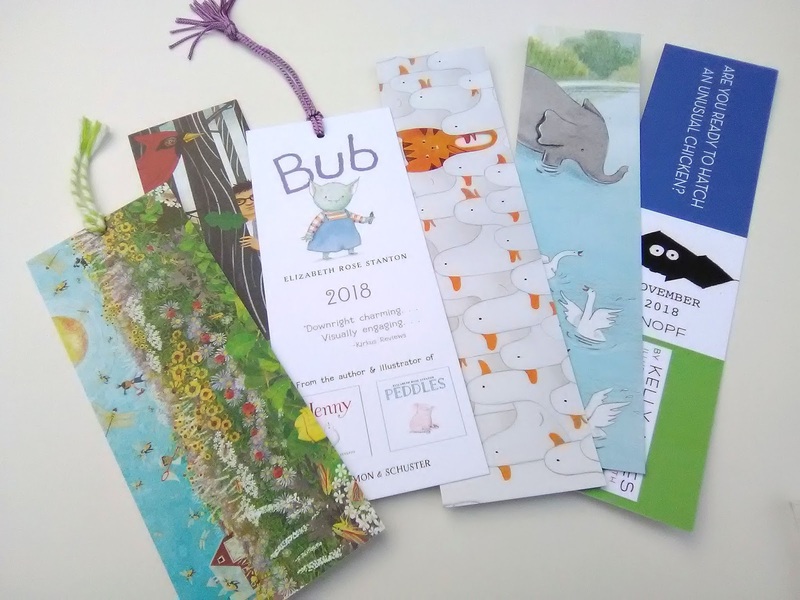 Bookmarks seem the most desirable to bookstores and libraries, stickers are the most coveted by kids, and while I love buttons, they do have sharp pointy bits that need to be kept away from the really little ones. Buttons: fun but can be pointy! 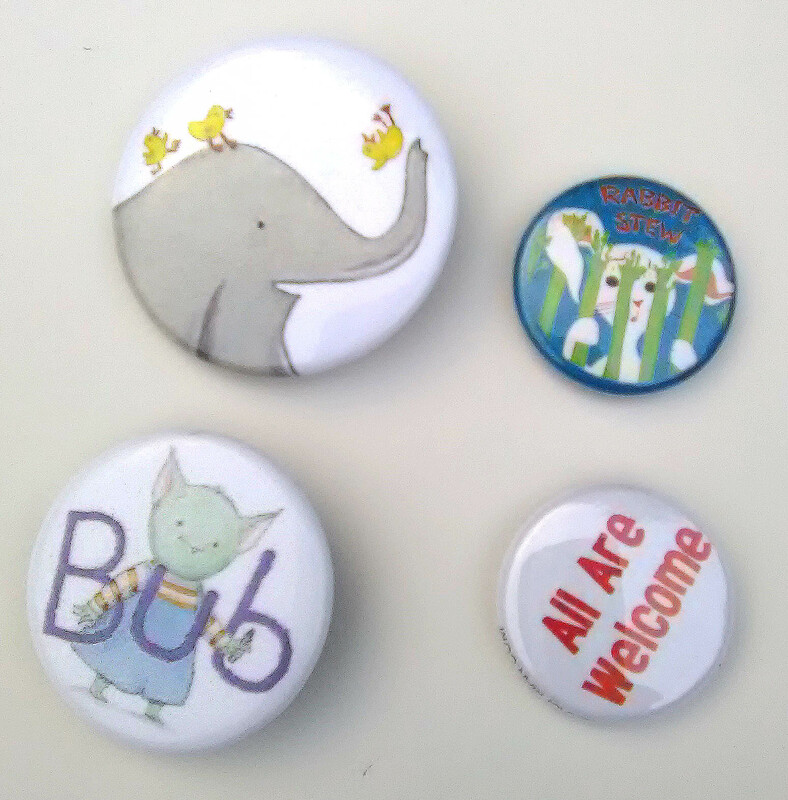 Some of my favorite places for getting swag made include Purebuttons.com for buttons and Gotprint.com for bookmarks. 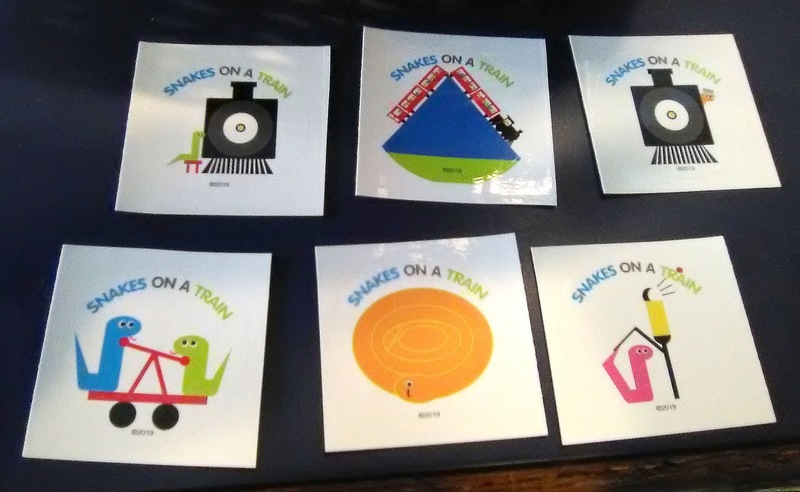 I haven't gotten stickers made but these pictured above are from Moo.com.